There’s no doubt that travelling can be a pricey pastime but by fixing your attention on the the world’s best free tourist attractions you can worry less about cost and more about fun. With hotel accommodations, restaurant meals and entrance fees to different tourist spots, there’s plenty to impact your precious financial savings – you don’t need the actual process of sight-seeing to take away from it also! Thankfully then, knowing about some of the world’s best free sights can help readjust the balance. In just about every country or city, there are sights to see and things to do that will not cost you a penny. Wondering what they are? Here are the world’s best free tourist attractions from across the seven continents. One of the best spots to feel like a true Parisian. Whether your plan is to read your favorite poet or novelist or simply kick back listening to the local chatter, sitting by the water’s edge at Canal St-Martin is a worthwhile way to spend your afternoon. One of the best ways to get to know a country’s history is through their museums and galleries. There are many of them in Athens that will not cost you a penny. The Museum of Popular Musical Instruments, The Railway Museum, the Way Museum, the Hellenic Children’s Museum and the Municipal Gallery of Athens are just some of the best places (and not to mention free) places to check out in one of the world’s oldest cities. Take a stroll through La Rambla in Barcelona, Spain, one of the most famous roads in Europe. Offering a culturally stimulating walk through streets lined with shops, cafes, street vendors, human statues and other performers, La Rambla is one of the most interesting spots in the whole of Spain. 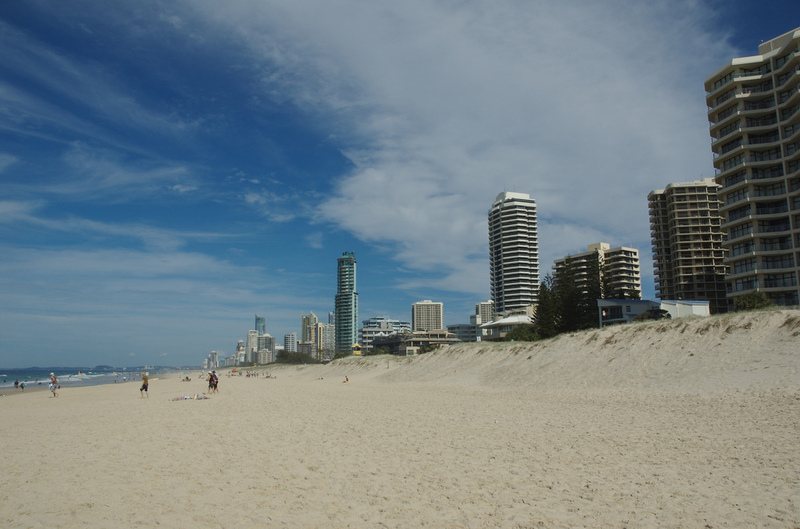 Hit the beaches of Gold Coast, Australia, famous for its white sand beaches that are perfect for walks, swimming, sunbathing and surfing. Africa’s Victoria Falls has a natural rock pool called the Devil’s Pool, a free to swim in pool with a natural wall made of rocks that stop you from falling into the 300ft deep waterfalls. Definitely one for the extreme adventurers out there! The Great Wall of China is one of the most enduring man-made structures in the world and free to witness. You don’t need to hike the whole wall, just walk at your own pace through a part of the wall and see how far you can go or take the ultimate ‘I’m in China’ tourist photo. Walk along the Hollywood Walk of Fame in Los Angeles, California, and look for the stars of the world’s most iconic celebrities including Marilyn Monroe, Michael Jackson, Charlie Chaplin and Kermit the Frog. When you think of Brazil, you probably also associate it with beautiful beaches where you can lay in the sand and swim. Rio de Janeiro is home to exactly that. Long shores and beautiful waters. There aren’t a whole host of things to do in Antarctica but seeing and even getting up close with the penguins at Port Lockroy is one of the most unique and free experiences you’ll likely experience anywhere in the world.